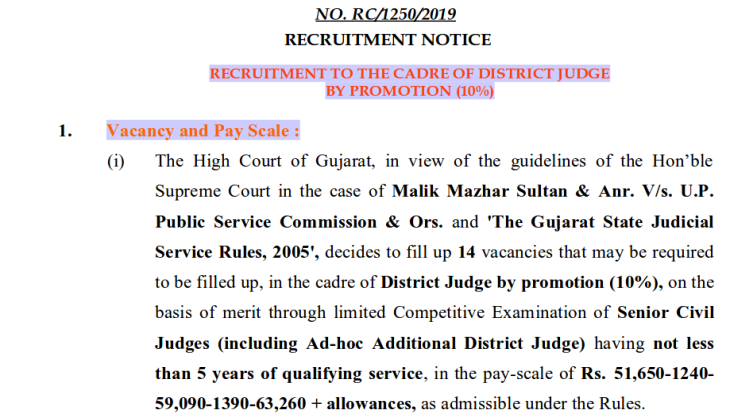 Gujarat High Court has released a job opportunity for the post of District Judge. Therefore, candidates who wanted to apply for the vacancy can submit their application form for the post available on the official website at gujarathighcourt.nic.in and ojas.guj.nic.in. There is a total of 26 posts released for the District Judge post. Candidates who are willing to apply for the post should the official notification released by Gujarat High Court. The last date to apply for the vacancy is 30th April 2019. However, the online application process will begin from 1st April 2019. 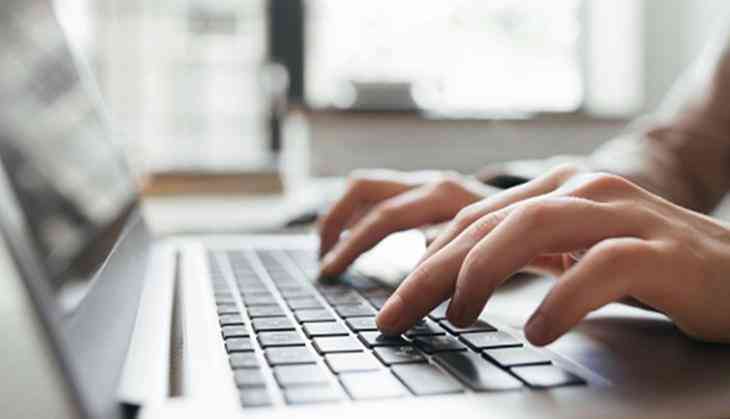 So, candidates should check the official website and submit their application form through a prescribed format. The selection of the candidates will be based on their performances in the two-stage exams i.e. Preliminary and Mains exam for the post of High Court Civil Judge. Also, candidates who will qualify the two stage will also appear for the viva-voce before the selection for the post released by Gujarat High Court. Candidates who will be selected will get the salary of Rs. 51,650 - 1240-59, 090-1390-63,260 + Allowances, as admissible under the Rules. Note: To read more details about the vacancies, candidates should check the official website or click here.